This is a guest post written by Chris Giarratana. Want to contribute? Check out the 2017 publishing calendar. Once you establish your coaching business, you need to focus on attracting clients. The most important thing to remember is to be creative in your marketing strategies. Check out the following innovative measures and watch your business grow. You need to express your business brand through consistent brand messages and maintain it throughout your content and design elements. You also have to decide who your customers will be, and who will most probably buy you services or products. You need to find out their age group, their gender and how they stand economically. If your coaching services caters to both youngsters and elders, you need to market to both age groups simultaneously. What's more, if you have different client profiles, make sure you have different messages for different client profiles. You also have to analyze your business strengths, which may be your accreditation and training or your location, and weaknesses, like limited funding and limited automation. You then have to work at using your strengths to your benefit and overcoming your weaknesses. You have to work at building your network of associates, referral clients and peers, starting with your existing network of loyal clients. Give them good reason and even incentives to send you referrals, which are more likely to be quality leads. You can expand your network within your client niche by joining groups related to your business. It’s also worth reaching out to your existing network for people, as they may be interested in your services. You can also ask for recommendations from them about other networks woth joining. Once your current leads list gets exhausted, join other networks to establish more connections with other people. You could perhaps participate in different business events, attend and host webinars, join related groups, organizations and online forums, and join hands with influential people and institutions to help your business network grow. Anyone and everyone has a fascination and love for free things. So just imagine how much popularity and demand you can generate for your business just by offering something free to your clients! Offering free perks can do wonders for your coaching business, especially if you are new to the game and want to attract as many new clients as possible, to establish yourself in the space. It helps generate valuable customer attention and achieve the much-needed movement your small business needs. Besides, you can contribute to creating a brand voice for your business by offering something free, as people get to know about your coaching through your freebies. Free things also help your business by giving your potential customers something to evaluate both your business quality and credentials. When you offer something free, it will obviously be something related to whatever you are selling. So the people who receive your freebies get to know more about the types or services you have to offer and how well you stand out in the market. It also lets your potential customers try out the products before deciding if they should buy or subscribe to whatever you have to offer. Besides, once you manage to attract new customers to your business through your free goods and services, you will be able to sell the same service as a premium version. So your freebies also indirectly offer a gateway for customers to reach your premium coaching packages, opposed to . In this day and age, it’s quite obvious that even a small business needs to have a strong web presence. However, it’s not enough to just own a website. You also need to work at getting your site recognized and established enough to compete with other coaching sites. You need to compete to get more traffic, lead generation and business conversions than your competitors. Remember, though you are a small business, you are competing with both large and small businesses to make your voice heard and your brand visible online. This is why you need a focused internet marketing strategy and that starts by building up your online presence. Here are some robust content strategies and effective digital marketing strategies that help you stand out from your competitors. Include well-researched, optimized keywords in your website content and blog posts. Have a web presence with a human voice and tone as it helps provide an immediate connection with your target audience. Give your audience content and material they will enjoy reading and also ask for their honest feedback by adding a comments section. Reply to their feedback as soon as possible, as it will prove invaluable in the evolution of your product. Maintain continuous engagement with your audience as some of them may end up as your potential customers. You never know who will criticize you, so be ready for it and learn to accept criticism. Work at building high-credibility around your brand name using trust marks like customer reviews, rewards, recognitions, industry certifications and by mentioning the other brands served by you. Use the help of social media like Facebook, Twitter, and YouTube to reach out to potential customers. You not only have to work at attracting new customers, but you also have to work at retaining all your existing clients. This is best done by giving them a reason to come back and do business with you, perhaps through incentives. Rewards and incentives are the best methods for bringing back old and loyal customers to your brand. You also need to remember to keep whatever promise you make to your customers. If you promise them six-month’s money-back guarantee for your services, make sure you give it to them. It’s your duty to do so after you have offered and promised it to them. Create offers that are connected to your business and not something unrelated to your niche. In other words, your incentive should boost your customer engagement, promote your brand image and also help put your brand message across to the general audience. Last, but not least, offer incentives which your customers can easily access. There is no point in making promises or offering incentives your customers find difficult to access. These are the five best and most efficient means of generating customers to your small business today. Try implementing them, and you will notice a marked change in your business’s existing and new client base. Chris is Digital strategy consultant with 13 years of experience helping small business owners make more money. 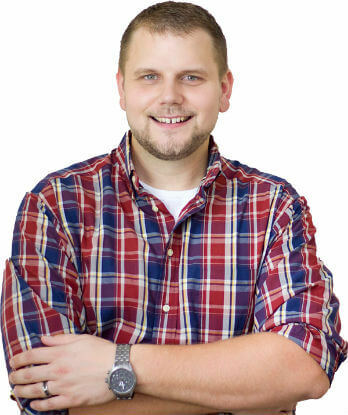 He focuses on customer needs balanced with freelance copywriting, PPC, and SEO services.